Storage benches are great almost anywhere, by the pool they store all your cleaning supplies, in the garden all your tools find a home, on the deck you can put charcoal and other grilling supplies, outdoor toys like balls or horseshoe sets. Storage benches are great indoors as well. They can be a perfect bench at the foot of your bed, with extra storage space for extra blankets and pillows. Try a storage bench in the rec room for supplies for your fun and relaxation. A good storage bench doesn’t just provide extra seating in a pinch, it is a preferred spot in whatever setting! A simple cushion cover will last you a long time and transform a wooden bench into a comfy perch. 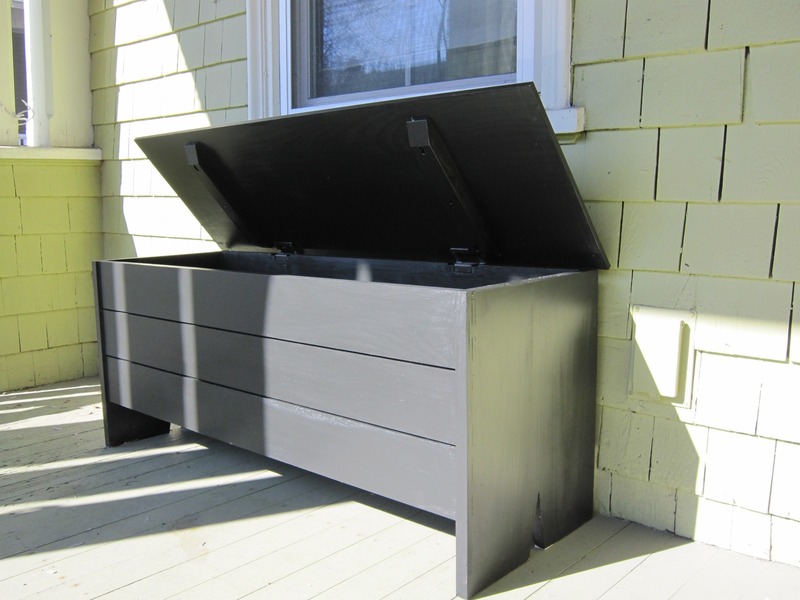 Remember though if it is an outdoor storage bench, you’ll need weather resistant material. Vinyl is a great alternative outside, easy to wipe clean and mildew resistant while looking good. Storage benches are constructed from various materials like plastic and any variety of woods. Wooden storage benches are a cool, comfortable seating option even on a hot summer afternoon because wood doesn’t conduct heat the way that metal and plastic do. Cedar is the most popular wood used in the construction of storage benches because of its natural aging beauty and pleasant scent. 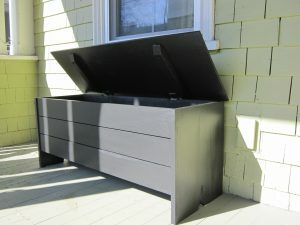 Besides smelling good, the oils that produce the trademark Cedar scent also repel insects, so a cedar storage bench is the ideal outdoor option. 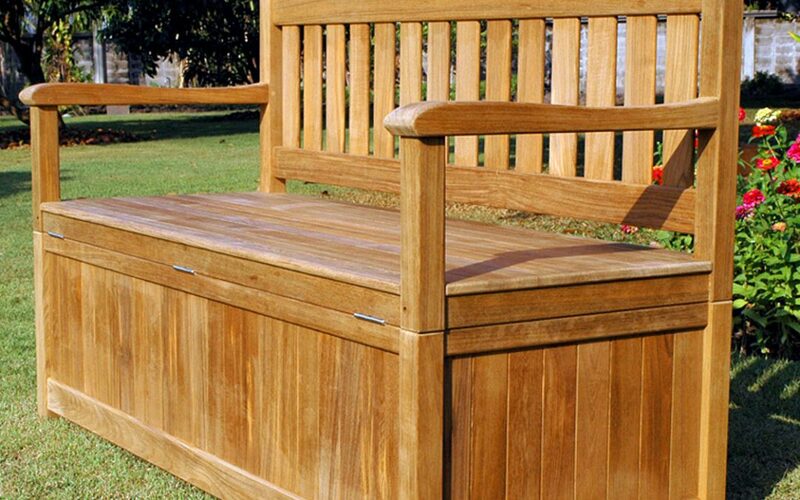 Storage benches are practical and add to your home and garden’s beauty, one of the truly worthy outdoor accessories out there.